Water scarcity and the resulting need for its efficient use is a global challenge. In some countries there are also increasing land use intensification impacts on water quality driven by irrigation. The investment in irrigation systems is considerable. 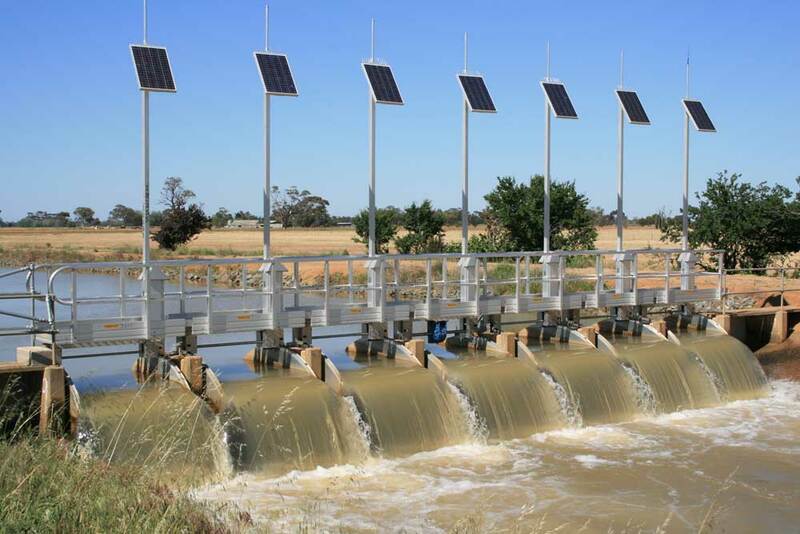 For example in a modern agricultural context the irrigation system investment behind the farm gate is frequently greater than the water storage and distribution infrastructure. Ensuring that irrigation schemes are designed, installed, managed and maintained well is essential if production gains, subsequent direct, indirect and induced economic benefits are to be realized, all whilst managing direct and indirect environmental impacts. It may be expected that in the coming period most of the activities in irrigation will be in the field of modernization and enhancement of existing schemes. For a certain number of schemes revitalizations will be required, before modernization activities can be undertaken, or such activities may be undertaken in combination. The revitalization concerns the broader policy and strategy aspects of Governments with respect to actual activities with respect to the modernization of irrigation schemes. About two-third of recent international financing for irrigation and drainage and almost all World Bank lending in the sector in the last decade has been for rehabilitation and upgrading of large-scale irrigation infrastructure. Much of this investment has addressed the huge backlog in deferred maintenance and repairs, supported by related reforms in institutions and management. Moving further; ICID felt the need to focus on modernizing irrigation services as this was one of the lacunas in many developing countries. Modernization of service through upgrading existing infrastructure is a challenging technical and institutional problem. New solutions are needed, based on new management options and widely available technologies. In order to provide a continuing focus for sustainable improvement of irrigation service delivery through progressive modernization of infrastructure, management and institutions, ICID established the Working Group on Modernization and Revitalization of Irrigation Schemes (WG-M&R). The WG is concerned with the lack of progress on modernization of services relative to the focus on improving the infrastructure elements of the irrigation system. The group closely works with FAO and other international organizations in developing and promoting strategies and tools like ‘Benchmarking’ and ‘MASSCOTE’ to monitor and evaluate performance of irrigation schemes. Scope of work: To investigate, analyse, disseminate information on new developments and to formulate recommendations with respect to: Planning and preparation for modernization and revitalization of irrigation schemes; Interaction between modernization, revitalization and required operation and maintenance; Cost sharing for modernization, revitalization and required operation and maintenance; Institutional and organizational framework required for modernization, revitalization and operation and maintenance; Methods and techniques of lining of conveyance and distribution canals; Canal control systems with respect to their automation, using internet, mobile communication and remote monitoring in canal operation; Modification to improve communication, operational capacities and flexibility in operation and maintenance of systems; Standardization and codes of practice in irrigation systems.